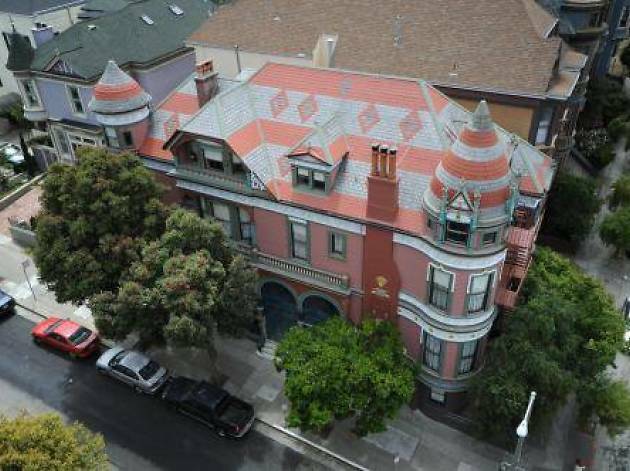 This ornate Victorian mansion was originally built in 1892. 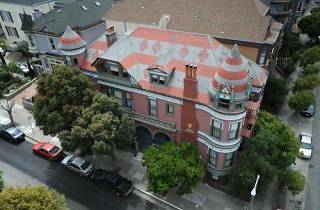 It was once owned by Ernestine Kreling, the style-savvy head of the Tivoli Opera House. Its nine rooms recall a more civilized time, outfitted with carved-oak beds, polished antiques, stained glass accents, and Bradbury wallpaper. There are no TVs or technological concessions to speak of, making the Chateau Tivoli an ideal place to unplug. (The opulent vibe is better suited for lounging and reading, anyhow.) In addition to a continental breakfast, wine and cheese are served in the parlor each afternoon and champagne is popped during weekend brunch.